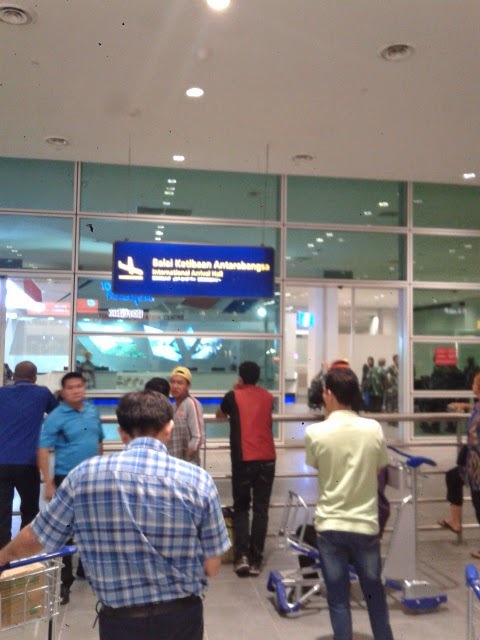 The moment you step out of your flight, you will be pleasantly surprised with KLIA2. KLIA2 does not make you feel like arriving at a low cost terminal. No-longer you have to worry about walking down the flight in rain. Aero-bridge is used to connect all arriving flights with the terminal building. Upon entering the terminal, clear signage is available for the direction to arrival, transfer and baggage claim. Signage showing direction from arrival gate terminal building to baggage claim area. KLIA2 is a large airport. Be prepared for a bit of walking to the arrival hall. Depending on which gate you are arrival from, the walk to immigration check point / baggage claim area could take between 10 to 20 minutes. You will not be bored along the way. Duty free shops, eateries and gift shops awaits your visit. A bit of walking from the arrival gate to the immigration check point / baggage claim / transfer area. The arrival hall of KLIA2 is located at Level 2. The walk way is equipped with hi-tech interactive floor plan to let travellers find out where they are in the terminal building and find information on the outlets and amenities around them. This floor plan may look like a glass panel at a first glance. Try touch the screen and you will realize that it is actually a giant touch screen monitor. 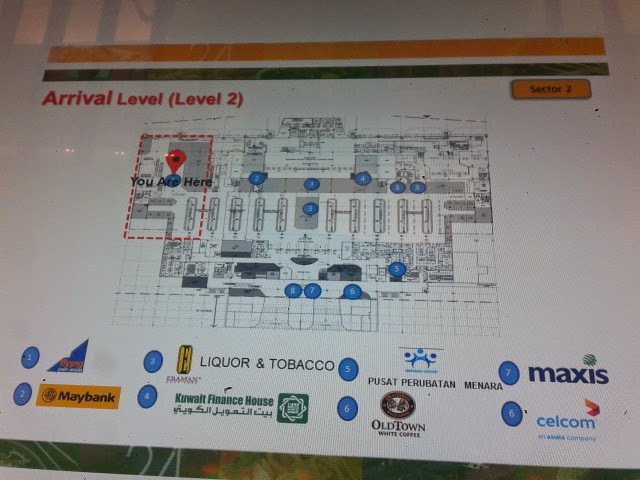 Giant touch screen monitor showing floor plan of KLIA2 arrival hall. 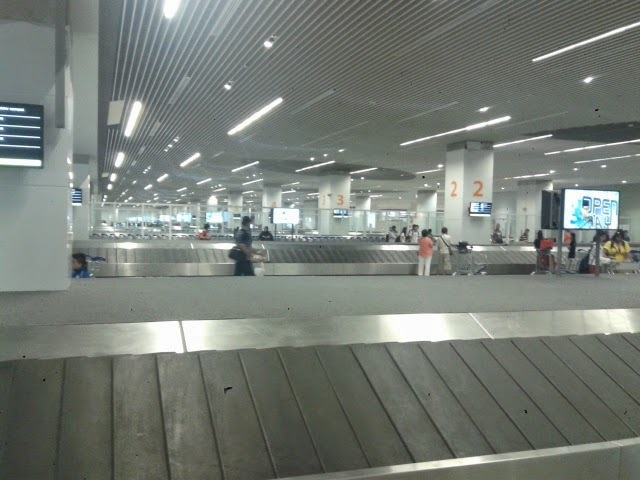 Upon exiting the immigration check point (for international arrival), you will be able to see the huge baggage claim area. There is a screen above each belt showing the flight served by the carousel. The system used is very similar to those at KLIA. 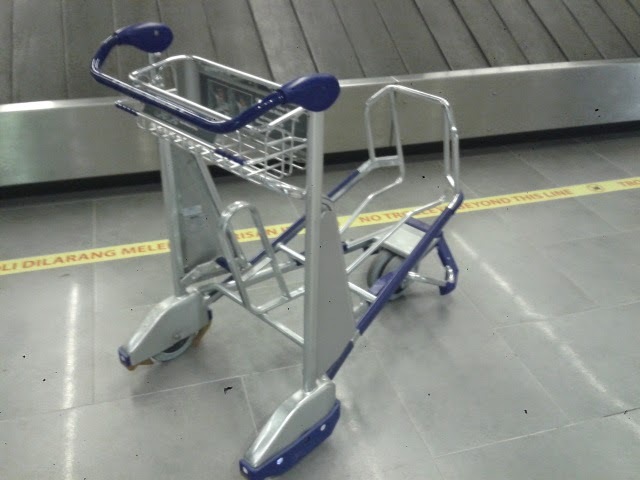 If you have heavy baggage with you or have a few to take care of, this is the point whereby airport trolleys are available for use. The trolleys at KLIA2 is brand new and very well designed for heavy duty and handle large luggages. 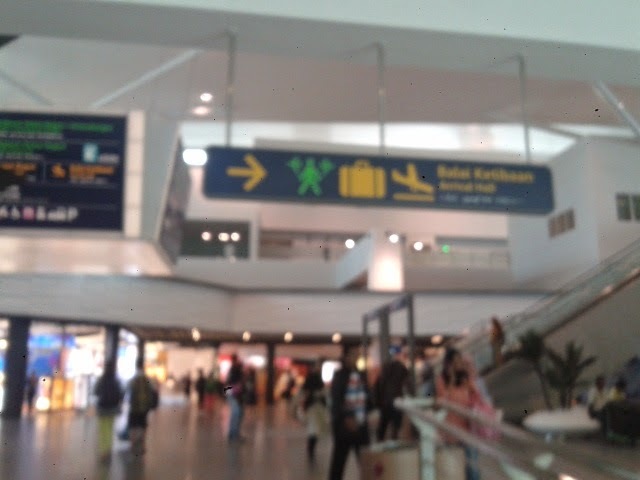 After you have collected your baggages, it is time to leave the arrival halls. This is where you may get a bit confused on where to go next. No worries. Look for help personnel hired by the airport authority. You can easily find one of them near you. They hold a big ASK ME sign and are dressed in light blue t-shirt. These help personnel can give you clear direction to taxi coupon counter, KLIA Express Station, Bus Station, car rental and airport parking. 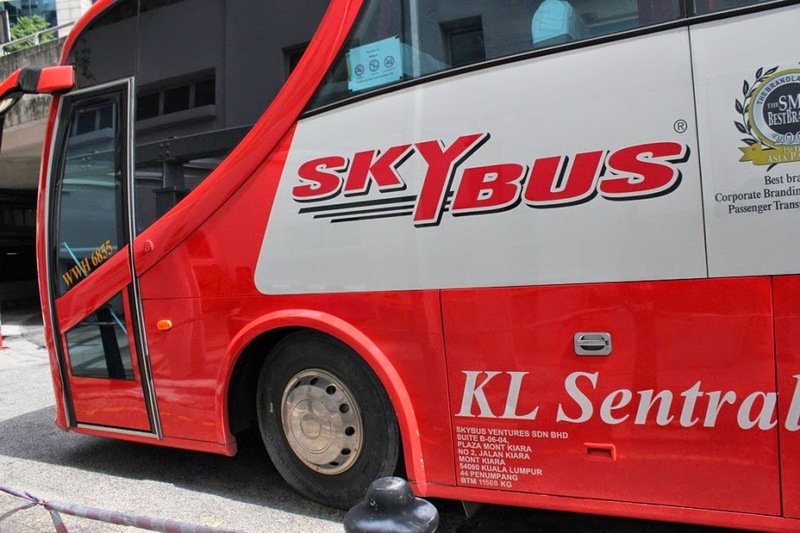 Some advices on how to get to down town from KLIA2 is available too. Any question about KLIA2? 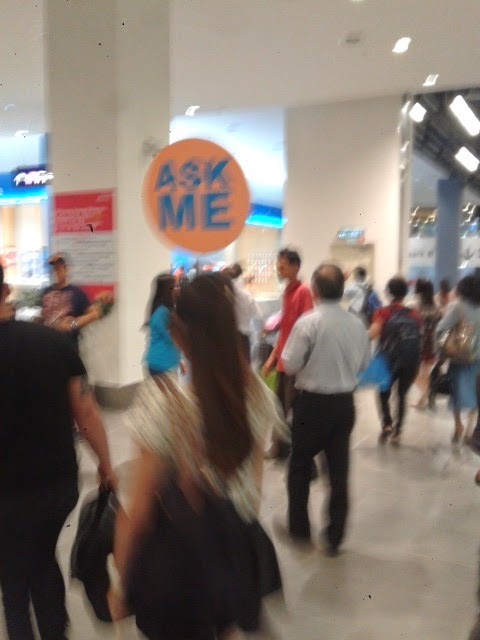 Look out for help personnel in blue holding the big ASK ME sign. All of them can speak English and Malay Language and most of them can speak Mandarin too. 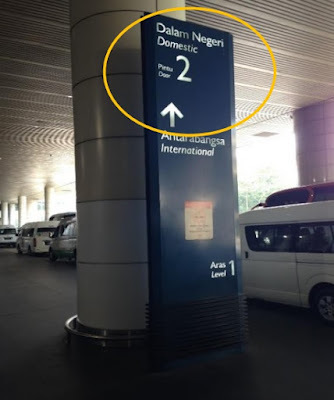 If you are arriving at KLIA2 for the first time, it is worth knowing that the arrival hall is located at Level 2 while the departure hall is located at Level 3. 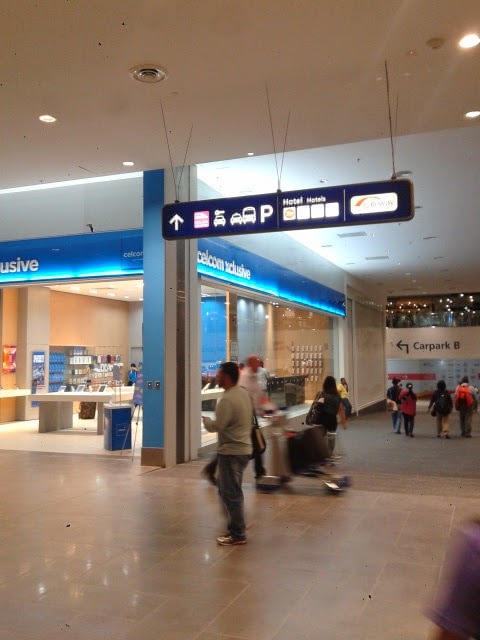 KLIA Express station is located at Level 2 as well but taxi and buses are located at Level 1. Just follow the signage to these stations and you won't be lost. Signage showing the direction from arrival hall to public transport services such as KLIA Express, taxi and bus. If you are a foreigners coming into Malaysia, you can always pick up a prepaid phone card along your way at the arrival hall. Celcom, Maxis/Hotlink, Digi and U Mobile are common choice in Malaysia. 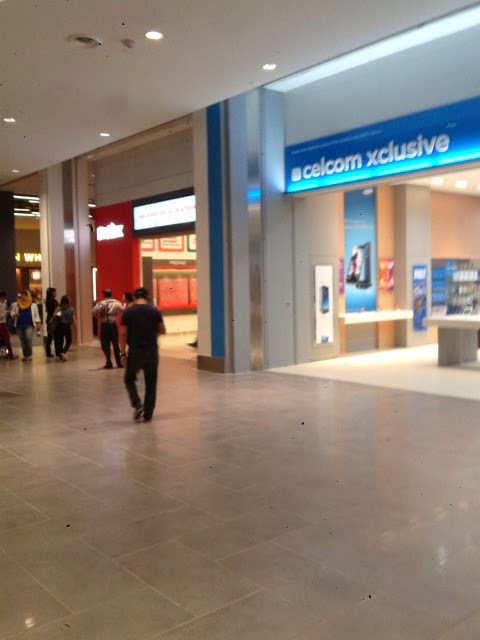 Celcom (Telecommunication Company) outlet - get your prepaid mobile SIM card here. There are also a lot (I really mean a lot) of restaurants and eateries of all kind at Level 2 and Level 2M for those who feel hungry or just want a first taste of the wonderful Malaysian food choice. That's it. KLIA2 arrivals should be easy for those who are used to air travel. Helps are also available for those who arrive at KLIA2 for the first time. Just feel free to ask and don't forget to enjoy yourself at KLIA2 before rushing to your next destination. 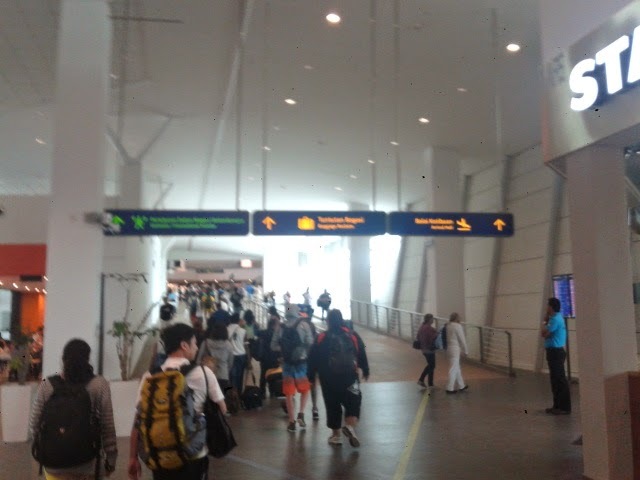 My experience arriving at KLIA2 is a long walk to the arrival hall. With lots of restaurants yes, but those are on the other side of the glass wall so you cannot enter them. I think it's a kind of claustrofobic walk from the gate to the arrival hall.